I grew up hanging out at malls... I admit that I am a mall rat. And one thing I love most is the mall wide SALE! 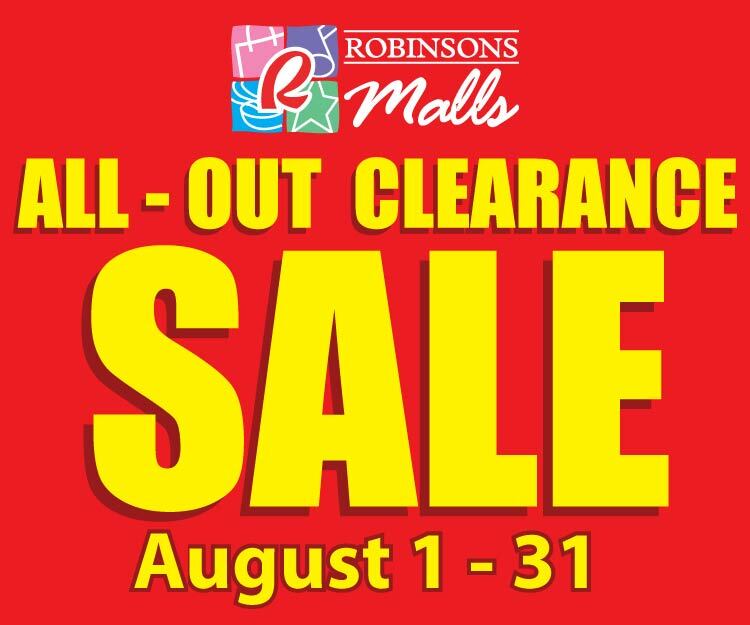 I know most of the malls are done with their mid season sale already but worry not for Robinsons Malls are having their all out clearance sale the whole month of August! and many, many more. There is always something for everyone! keep pouring in so get ready to have your fill of great shopping finds at great value. 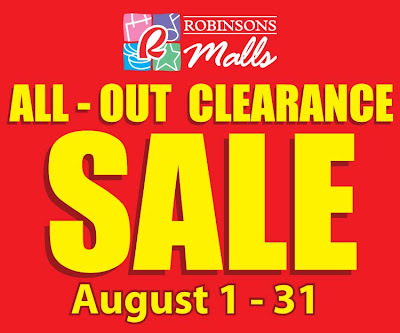 Do check out the Facebook fan page of Robinsons Malls and add them up. I went to Robinsons Galleria last Sunday (the very first day of their sale) I got to check out two of my fave shoe stores there. CMG and Schu! You guys know how much I am obsessed with shoes right? First store I went to is CMG. great selection of shoes & bags on sale! cork heeled shoes for only P999! great find! i super love these! studded heels for only P999! great for the rocker chick in you! they also have an array of great flats! i love these colourful pairs! only P799! these shoes are not on sale but i just need to share them with you coz they are so pretty! they are ultra comfy and light. not heavy on the wallet as well. a pair costs P2999. I would like to thank the wonderful friendly staff of CMG: Malen, Rizza and May Ann. They are very accommodating and lovely. pumps for only P799. great for office. want gladiator boots!?! these are on sale! another great find! and... the price? 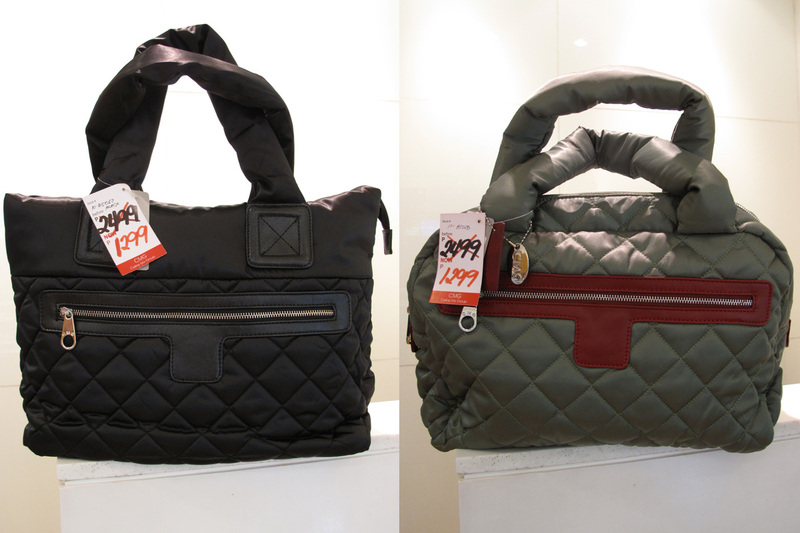 P799 only! Schu's have a huge selection of shoes up to 50% off! HOT boots for only P1599! Me likey! These are not on sale but I just have to post them. LOAFERS!!! Schu have these lovely beauties in 6 yummy colours. I have 3 pairs from them already. Planning on getting the gold pair soon. black, beige, teal and silver lace-up jazz shoes anyone? Now aren't you excited to check out these stores for their great selection of wonderful shoes? And other stores at that! So what are you waiting for? Head out to Robinsons Mall and go shop shop shop! I know I will be going back for some more shopping! gawd, lucky girl!!! you're one shoe addict, defo! i've been wanting to get those Schu loafers for the longest time! i know they were on sale before but now they're back to full price? boohoo! i love Rob Galleria and used to go there a lot when i was still in college at UPD. but now that im back in the south, driving way up north could be such a chore. i hope Robinson's opens a branch in the South soon! aaahhh!!!! first of all, i miss galle! yeah, i lived my teen years hanging out there and i was literally in each and every midnight sale madness sale and 3-day sales there in ortigas!! Lloyda, are the jazz shoes in leather or suede?? aaaaack, schu flats are love! :) need money for more shoes! i love the cork heeled shoes of CMG at 999 too. Ive been eyeing that ever since.